This image was done as a promotional piece for London Book Fair. 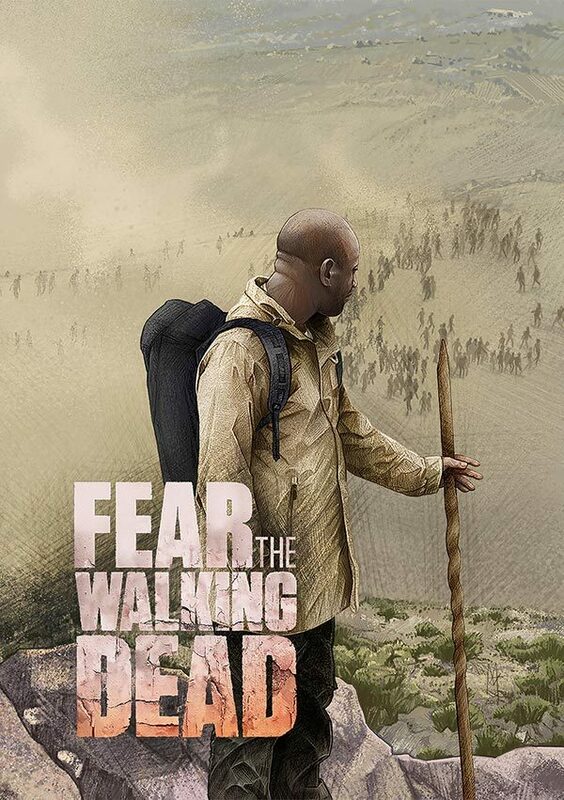 It also happened to tie in with a brief by Poster Spy and AMC to celebrate season four of ‘Fear The Walking Dead’ and the inclusion of Morgan (played by Lennie James) as he makes his crossover from ‘The Walking Dead’ into ‘Fear the Walking Dead’. 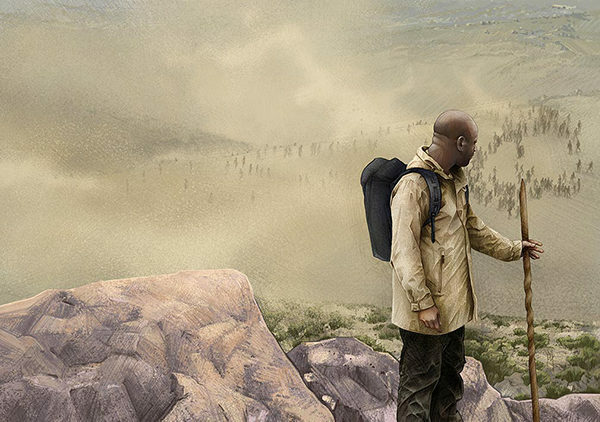 I wanted to convey the tension and drama of the show with its wide open desert spaces and the threat that people bring to the story, showing them as a mass horde, either zombies or people, but both deadly.